Signing up to be a Deacon means signing up for lifetime friendships. Between 2006 and 2010, if someone on the Wake Forest women’s track and field or cross-country team looked at you with raised eyebrows and said “IHOP,” it wasn’t about breakfast. Unless it was free pancake day. In that case, we runners would skip our post-practice Pit Sit, which began as early as 4:30 p.m. more times than I would like to admit, to secure our free short stack at the restaurant. But the IHOP question typically referred to our oft-run, seven-mile IHOP loop. The route hugged the outskirts of campus and featured a hard right at the all-day breakfast haven. In many ways, my college experience — and by extension, the person I became during my four years there — was shaped on those IHOP runs and on loops across campus, through Reynolda Gardens and around Salem Lake. Logging mile after mile presented endless opportunities to catch up with teammates who quickly became close friends and confidantes. On long runs problems unraveled. Decisions were made. Competition thrived. Even in silence we felt the camaraderie as we motivated each other to push the pace, become better runners and go after our goals. Flash-forward to this year. I’m five years removed from my competitive running days. But I find that my Wake Forest friends are still a team, running together and rooting each other on, even without the uniforms or organized meets. We stay in touch and await our reunions. Kelly Laffey and her teammates made an Iceland trip that "felt like a never-ending long run." 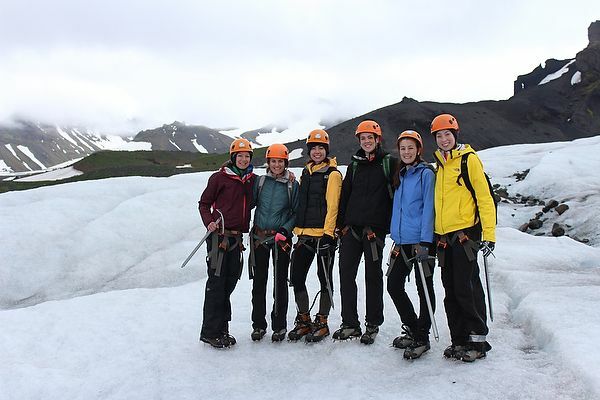 Last year my former teammates Caitlin Crawford (’11, MSA ’12), Katelyn Wohlford (’11), Katy Swain (’12), Cristina Richard (’11), Molly Binder (’12) and I ventured to Iceland for a week. The trip felt like a never-ending long run, and it wasn’t just because we spent the entire time in spandex and sneakers. Instead of motivating each other to win races while pounding the pavement on University Parkway, we were discussing how to make the most of our careers and our lives. All this while fording rivers formed by glacial runoff, hiking through valleys to hot springs known as special destinations for locals and mugging for photos of us pretending to be the walking Demon Deacon at BB&T Field, Icelandic-style. My favorite memento from the trip is a notebook filled with pages outlining where each of us hopes to be in a decade, supplemented by commentary from the group. We wrote in it one night over dinner, our picture window framing a volcano that loomed in the distance. That notebook is tangible evidence of how grounding it is for me to be among fellow Deacs. Whereas we once inspired each other to achieve running goals, now we’re a support system for our post-grad dreams. 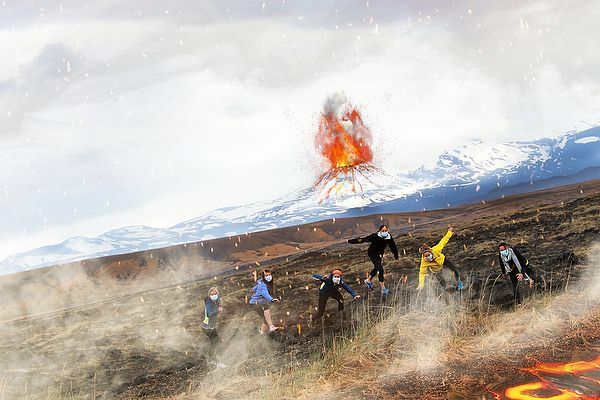 The group mugged for a photo "enhanced" with fake lava. Ten years ago, an Icelandic adventure with my college teammates was not something I could have dreamt of scripting. Even the mental high of running with good friends was a total unknown. During first-year orientation in 2006 I emailed Coach Annie Bennett about walking onto the team. I was still recovering from a 2004 back operation for scoliosis and getting back into shape. Coach granted me an invitation to attend practice. Soon, I was running in a Wake uniform. I had no way of knowing then that team membership is for life. I was signing on to be a Demon Deacon forever, and these intervening years have proven that it was truly the opportunity of a lifetime, with friendships for the long run. Kelly Laffey (’10), a political science major and journalism minor, is associate editor at Dan’s Papers, a lifestyle magazine in Southampton, New York. Her focus is on sports, health and fitness. Contact her at kmlaffey@gmail.com.